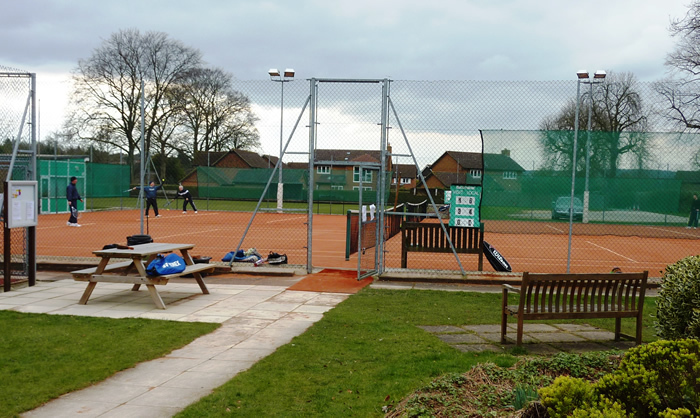 Princes Risborough Tennis Club was formed in the mid 1920’s and has an excellent reputation for its friendly welcome to players of all standards, ages and abilities. The Club has Mens, Ladies and Mixed teams playing in County Leagues, and we have enjoyed some excellent results over the past few years. We also sponsor Junior events and Youth tennis, and have cooperative programmes with local schools. The club owns its own grounds and has three artificial clay courts, all with floodlights for year round usage. A general programme of development and improvement is maintained by an active committee. The clubhouse is used extensively during the club sessions and matches. A table tennis table provides alternative entertainment during the peak times or rain showers. The committee and our coaching team encourage members of all abilities to attend these sessions and wish all to feel included and enjoy these sessions to the full. During Club Sessions all players must mix in, change fours and include everyone who wants to play. Those playing should be mindful of those waiting to play and organise short sets; either first to four with long deuces or first to five with short deuces. Short deuce is best of three points once deuce has been reached. 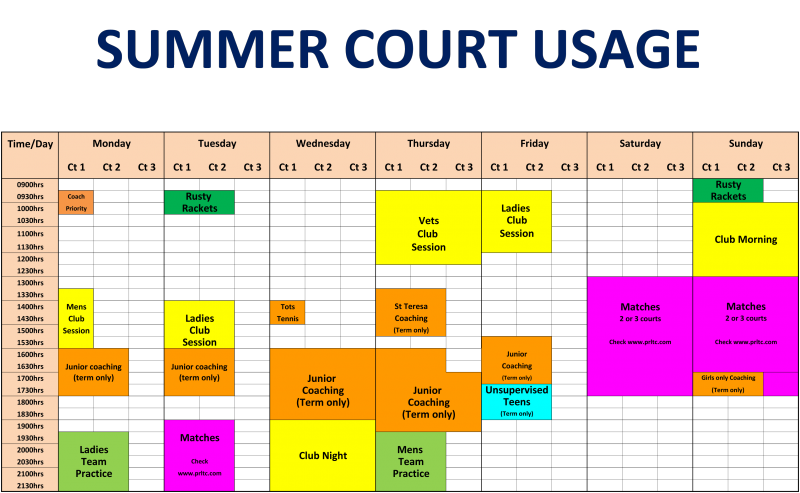 Outside of the coaching programme, juniors have priority on two courts from 4.30–6.30pm on Mondays (unsupervised). Teenagers have priority from 5.00–7.00pm on Fridays (supervised). Adults have priority on the courts after 6pm on other days and during club mornings on Sundays. 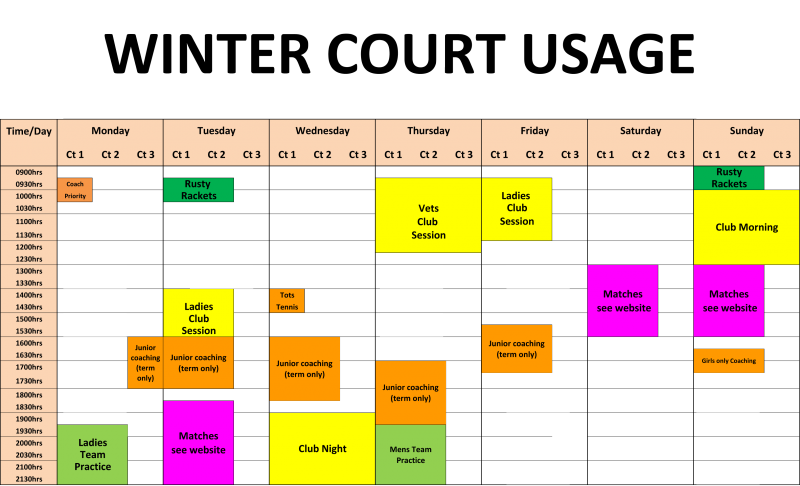 Juniors may play in adult sessions by invitation only, once they have reached the required standard set by the club coach. The club maintains an Action Plan detailing the current priorities for the club. This is reviewed at each committee meeting and updated annually, following the AGM. Click Here for the 2017 version of the Action Plan. Click here to view the club’s Code of Practice. This encourages good behaviour, care of the club’s facilities and respect for the club’s rules. Click here for the club’s Code of Practice for Working with Young People. (B) To be bound by and subject to the rules and disciplinary code of the Lawn Tennis Association (or such successor entity or entities as become(s) the governing body of the game of lawn tennis from time to time) as in force from time to time. All persons using the facilities acknowledge that the above is intended to be enforceable by the LTA and/or the Association directly or by virtue of the Contracts (Rights of Third Parties) Act 1999. Click here to view the Rules of PRLTC and click here to view our Compliance with Rules policy.